Mississauga is located west of Toronto, in the Regional Municipality of Peel. The City of Mississauga is a lower-tier municipality governed by 11 councilors and a mayor. All plans and policies in Mississauga must conform to the Growth Plan for the Greater Golden Horseshoe (2017) and the Provincial Policy Statement (2005). Lester B. Pearson International Airport, Canada’s busiest airport is located in northeastern Mississauga. Mississauga has re-examined their approach to transportation and development in recent years. New policies and plans place greater emphasis on transit-oriented design and densification. Transportation infrastructure in the City of Mississauga is guided by a suite of plans and policies including the Strategic Plan, Mississauga Official Plan 2018, Cycling Master Plan, Downtown 21 Master Plan, City of Mississauga Accessibility Plan and Accessibility Design Handbook, Region Peel Official Plan and the Growth Plan for the Greater Golden Horseshoe (Subsection 3.2.2) (2006). Mississauga was featured in TCAT’s Complete Streets in Southern Ontario Project. The City has adopted a Complete Streets approach by including the term in their Strategic Plan: Our Future Mississauga: ‘In Mississauga, current land use patterns favour automobiles – and without changes to these patterns, vehicular traffic and congestion will only increase. To alleviate the situation, the city will need to provide alternatives such as great public transit, complete streets with inclusive cross-sections and an urban form that supports walking and active modes of transportation (p. 35). The Mississauga Official Plan, released in 2018, has a commitment to creating a multi-modal city. While the term Complete Streets is not explicitly used, the document refers to ‘implementing a viable and safe active transportation network for cyclists and pedestrians that is safe and viable for all ages and abilities (p. 4-9).’ The Official Plan is dedicated to creating a multi-modal transportation system as they believe that it ‘goes hand-in-hand with creating compact, complete communities, and providing future generations with the opportunity to lead healthier, longer, more active lives (p. 8-3)’. “In Mississauga, current land use patterns favour automobiles – and without changes to these patterns, vehicular traffic and congestion will only increase. To alleviate the situation, the city will need to provide alternatives such as great public transit, complete streets with inclusive cross-sections and an urban form that supports walking and active modes of transportation”. The Plan refers to Complete Streets as an approach to use while integrating transit into the urban pattern. In August 2010, construction began on a dedicated bus-rapid-transit (BRT) right-of-way that spans 18 km from between Winston Churchill Boulevard and Renforth Drive. The BRT will run on newly constructed dedicated transitway between Renforth and City Centre and between Erin Mills Parkway and Winston Churchill Boulevard as well as on Highway 403 on the existing bus by-pass shoulders. In addition, all bus routes in the City of Mississauga will be accessible by the end of 2012. This means buses will have the ability to deploy a ramp, kneel and have automated bus stop announcements. The Mississauga Cycling Master Plan (2010) directs planners and engineers to install 220 km of primary routes (on-street bicycle Lanes, Shared Use Lanes, Multi-Use Trails), 250 km of secondary routes (mostly signed routes and sharrows) and 65 km of off-road multi-use trails over a 20-year horizon. In 2010, the City established a cycling office to lead the implementation of the Cycling Master Plan. In 2011, 9 km of new on-street bicycle facilities were implemented as part of restriping and resurfacing projects and 14 km of new multi-use trails were constructed (Cycling Office, 2012). The Big Move (Metrolinx’s Regional Transportation Plan) has identified five Mobility Hubs to be developed in the City of Mississauga; Cooksville Go Station, Mississauga City Centre, Lester B. Pearson International Airport, Port Credit Go Station and Renforth Gateway. Recent projects in the Downtown Core reflect a Complete Streets approach. For example, the extension of Square One Drive was constructed as a two-way “flush street” to provide the safest walkable and drivable environment. As a flush street, the road was constructed with curbless edges giving a continuous flush surface from building to building and through parkland space. The flush street encourages slow speeds while maintaining the same volumes as a conventional street. Mississauga has made a significant investment in Complete Streets and multi-modal planning and projects. However, survey respondents report that several barriers to Complete Streets remain. Urban form and right-of-way constraints are key barriers to Complete Streets in Mississauga. Many of Mississauga’s blocks have a perimeter approximately 800m or longer (City of Mississauga, 2011). Best practices dictate that blocks perimeters of approximately 500m or less encourage pedestrian activity. As indicated in the City’s Official Plan, Mississauga will strive to create a fine grained system of roads that seeks to increase the number of intersections and overall connectivity throughout the City. This may include the completion of road connections and where appropriate, the creation of a denser road pattern through the construction of new roads. It is noted in the Official Plan that the creation of a finer grain road pattern will be a priority in Intensification Areas. Intensification Areas are areas where future growth will be primarily directed. For example, as part of the Downtown 21 Master Plan, a block pattern with the more ideal urban block size was identified for the Downtown Core. As the City undertakes Character Area Review and Local Area Plans, the City will strive to implement a finer grain road network, where appropriate. As in all jurisdictions across Canada, transportation planners and engineers in Mississauga must balance a broad set of interests when designing new roadways. City Council has directed staff to improve transit priority and cycling facilities without significant reduction in vehicle level-of-service or availability of parking. To this end, engineers have examined opportunities to narrow automobile lane widths and lower design speeds to better distribute the right-of-way. However, survey respondents question if there is space to “do it all” in Mississauga (survey respondent, 2012). 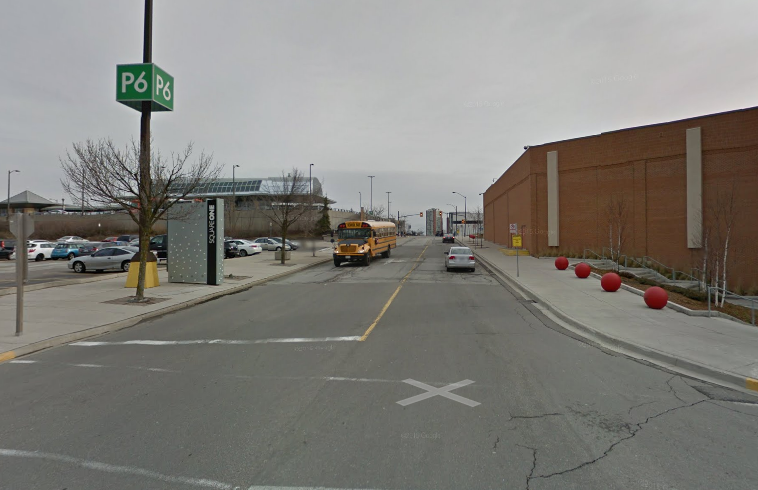 Hurontario Street, for example, is an important regional north-south corridor for personal and commercial vehicles and public transit. The Hurontario Main Street LRT project is working towards developing a Complete Street that can incorporate new rapid transit, cycling facilities, and pedestrian infrastructure. However, the challenge is to accommodate each new mode without compromise in terms of existing landscaping, impacting vehicle level-of-service or widening the right-of-way – the last would be a design step that is generally at odds with good planning for pedestrians. A Complete Streets approach informs Complete Streets implementation; however, not all projects are based on Complete Streets. Survey respondents identify several reasons why this is the case. Firstly, without an official Complete Streets policy, the City of Mississauga is not required to implement Complete Streets in all right-of-way projects (National Complete Streets Coalition). 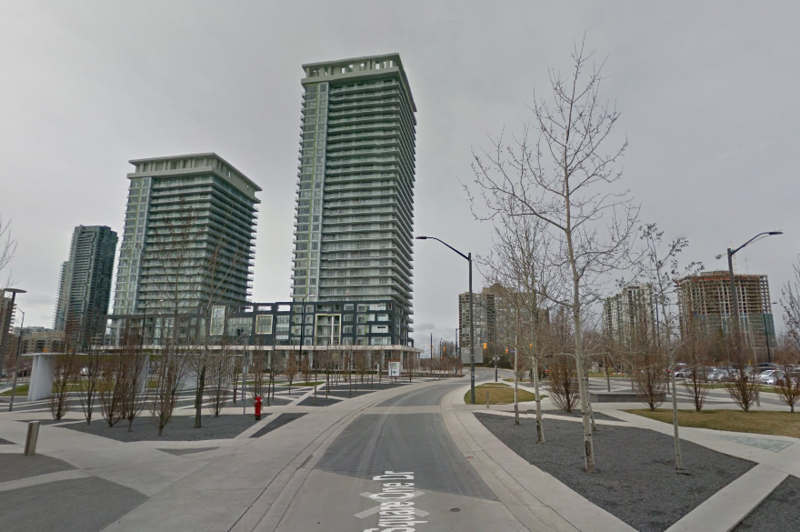 Secondly, Complete Street projects cannot always be mated to roadway redesign and resurfacing projects in Mississauga because they may require additional design guidance and approvals. Additional design measures and approvals increase costs and can delay the completion of automobile right-of-way improvements which City Council considers more vital to the public’s interest. As a result, a financial commitment to Complete Streets projects has been difficult to establish (survey respondent, 2012). Mississauga`s many bridges and highway crossings (407, 401, 403, 409, 410, Queen Elizabeth Way) are also key engineering challenges that can increase Complete Streets implementation costs because they require specific design guidance. To address this problem, the City is currently developing Multi-modal Roadway Design Guidelines (and streetscape designs guidelines to work in conjunction with the standards for multi-modal roads). Six of ten respondents report that proposed Complete Streets projects (projects on surface streets such as road diets and cycling infrastructure installation) have been met with opposition from local stakeholder groups. Homeowners and ratepayers groups have expressed concern over in the introduction of new transit routes into neighborhoods. Predictably, local business owners and residents oppose new on-street bicycle facilities because of fear over loss of parking. Despite a strong approach to Complete Streets, transit, cycling, and walking do not yet appear to be considered “core” modes in Mississauga (survey respondent, 2012). Complete Streets still do not resonate with many Mississauga residents and their councilors. Often those who oppose new cycling, walking and transit facilities lack a clear vision of what a Complete Street will look like in their community (survey respondent, 2012). Once again, proponents of Complete Streets in Mississauga need to develop strategies that combat the deep-seated belief that Complete Streets projects restrict access, personal mobility, and decrease commercial activity in retail areas. One engineer expressed the need for the City of Mississauga to broaden feasibility analysis for roadway redesigns beyond strictly an engineering study. This would challenge council as well as engineers and planners to establish design criteria that consider the “people capacity” as opposed to the vehicle capacity of roads (survey respondent, 2012). The city`s largely suburban form (low-density, single-use, super blocks, wide automobile rights-of-way) will continue to be a major barrier to Complete Streets projects. Future Complete Streets projects must be coupled with a continued commitment to sustainable land use planning to ensure success. In-force accessibility legislation in Ontario does not directly address Complete Streets. However, the Province of Ontario is in the process of drafting Accessible Built Environment Standards and is proposing to update the “barrier-free” section of the Ontario Building Code. This process represents an opportunity to raise the provincial profile of Complete Streets. Survey respondents feel that language that is supportive of Complete Streets should be included or referred to in provincial building and built environment standards. Square One Drive is an extension of an existing street that anticipates increased pedestrian and vehicular traffic as the Civic Centre grows. The expansion of the Sheridan College campus provided an opportunity for a Complete Streets approach to enhance the public realm, increase safety and build capacity for all modes of travel. Square One Drive provides an aesthetically pleasing connection to public transit hubs, major shopping destinations (Square One Mall), educational institutions and green space assets (Scholar’s Green Park). Flush street approach: The design integrates all elements of the street and public realm on a single, curbless plane with pedestrian-oriented on street texturing. This encourages more awareness and safer interaction between modes of travel, while also eliminating many accessibility barriers. Single lane roundabout: A traffic-calming feature used to decrease speeds and strike a better balance for all modes of travel. This is an important component to ensure the safety of the flush street design. Green median: A landscaped median with extensive plantings of trees and grasses uses a network of designated crossing paths that connect to surrounding destinations. This context sensitive design references the landscapes of nearby Scholar’s Green Park. This project was featured as a case study in the Complete Streets Catalogue, compiled by the The Centre for Active Transportation. Note that as this project was an extension of an existing street, and not a reconstruction, the “Before” photo below is of an older portion of the same street, to give an idea of how Square One Drive has previously been designed. Statistics Canada. 2012. Mississauga, Ontario (Code 3521005) and Peel, Ontario (Code 3521) (table). Census Profile. 2011 Census. Statistics Canada Catalogue no. 98-316-XWE. Ottawa. Released May 29, 2012. http://www12.statcan.gc.ca/census-recensement/2011/dp-pd/prof/index.cfm?Lang=E (accessed July 26, 2012). Mississauga’s Cycling Master Plan includes developing Complete Streets in more than one action item in the Strategic Plan Pillars for Change, Goal and Actions.